ESPN fantasy baseball users rejoice! You can now draft directly from Draft Wizard on the web or our Chrome Extension Draft Assistant! It also keeps ESPN from drafting from their rankings if you run out of time to make your pick, by giving you the ability to allow Draft Wizard to make the best available pick for you before your time runs out. It works for both your real draft as well as mock drafts. Running low on time? Don't get stuck with the auto-pick from default ESPN rankings. Co-Pilot will pick the recommended player based on our player suggestion system and expert rankings. 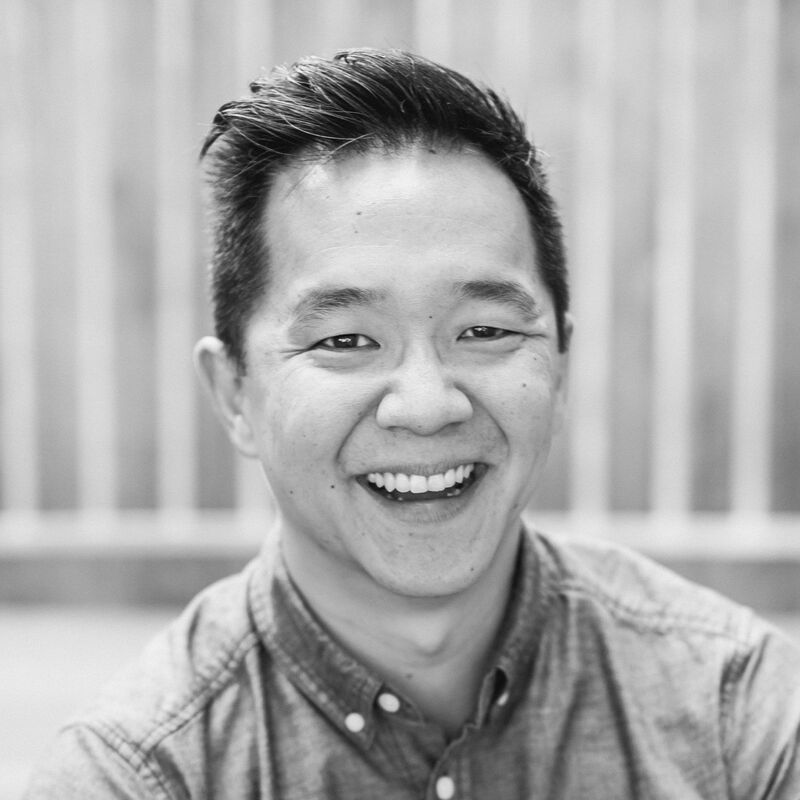 You can learn more about how it works in-depth in our Help Center article. 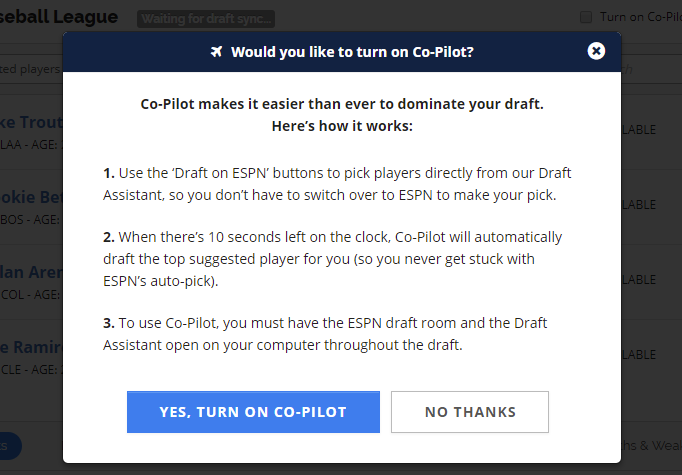 When you launch the Draft Wizard Live Draft Assistant you'll see a message asking you if you'd like to turn on Co-Pilot for your ESPN draft. When it's your turn to pick, you can either make your pick in the ESPN draft room, or (preferably) using the "Draft on ESPN" button that is shown in Draft Wizard next to each player in the suggested player queue. With Co-Pilot activated, if your pick clock runs down to 10 seconds, Draft Wizard will auto-pick the best available player for you (based on expert recommendations). 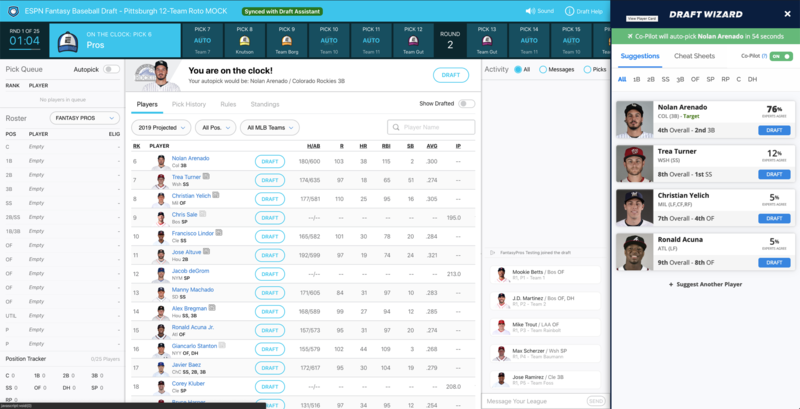 Try it out now with the Draft Wizard Draft Assistant for ESPN leagues. Not a premium user? Get everything FantasyPros has to offer, year-round. Check it out now.